The following is a list of the top and most accurate (and free!) astrology calculators for generating your astrological chart whether you are looking for just a quick and simple horoscope or a more detailed and advanced astrological chart. You will need to input some basic information and your chart results will be generated online available for you to view or print immediately. 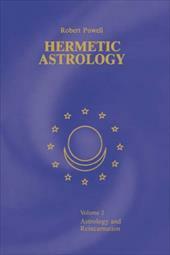 There are various systems used in calculating astrological charts. The most popular systems are the Placidus method and the Koch house system. 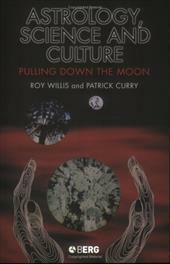 Your unique natal chart is based on your Ascendant (also called the 'rising sign'). Your The Ascendant/Rising Sign is the zodiac sign rising over the horizon at birth and it is the sign on the 1st house cusp of your personal horoscope. You'll need the exact time and location of your birth in order to get your correct ascendent. If you don't know your birth time, use 12:00 pm (noon) and the location which you were born (this method may not be as accurate). If you believe you know the general time frame of your birth (within 2 hours), then go ahead and input your best guess. If your Rising Sign doesn't seem to fit you, read the description for the sign before and after as well. Still not sure? Try several different ascendant calculators, and also try to use the manual shortcut method found here. Compare your results for each one. *Please note that the Vedic ascendant (Eastern Sidereal astrology) may be different than the Western or Tropical ascendant. For example, your tropical ascendant may be Virgo while sidereal (Vedic) ascendant may be Leo. Most of the Ascendant calculators below use the traditional/western methods. The following links will open in a separate browser window, or you can right-click to open in a new tab so you can stay on this page. Input your birth info and get a wealth of mini-charts, personal profiles, and interactive charts, complete with interpretations; everything from childhood and career, to relationships and daily horoscopes. This quick and easy calculator will give you an interactive natal chart, complete with brief astrological interpretation of the planets. Find your Chinese Zodiac Sign and read the descriptions, meanings and symbols. The twelve signs of the Chinese Zodiac may explain your disposition. 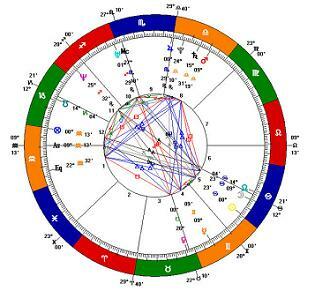 Genreate a free Zi Wei Dou Shu Chinese astrological chart, plus calculate a free one year and ten year chart. (eastern indian astrological calculators) Here you can find Daily panchang calculator, nakshatra calculator, tithi calculator, karana calculator and several other useful astrology tools. This is a calculator which can be used to calculate a synastry/compatability chart between you and another person. The percise time of birth and location (latitude/logitude) is required for both persons. Your rising sign is your 'Outer Personality' and is the way that other people percieve you. It also describes how you cope with daily issues and adapt to people and circumstances. To find your rising sign using these free calculators you must know the location and time of your birth (or as close to it as possible). This will quickly calculate your rising sign for you. Birth time is formatted in military time (Solar 24 hours - 00-24) where 00 is Midnight, 01 is 1am, 12 is noon, 13 is 1pm and so on). Make sure to select the correct city and state where you were born. 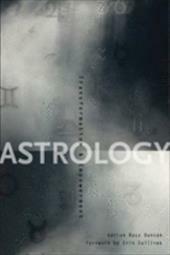 Calculator for finding your Vedic Rising Sign (called a 'Lagna') in Eastern/Indian Astrology. Or use this quick and easy Vedic chart creator to get your lagna, sun, nakshatra moon, and planets. Use this calculator to get your Chinese zodiac sign, the relative Chinese rising sign, and the associated element. Your Moon sign is your 'Inner Personality' and is related to your inner feelings and nature, and hidden or secret aspects of your personality. It is your subconscious. To find your Moon Sign. Enter your birth time and location to get your Moon sign, plus a brief interpretation of what it represents. Another moon sign calculator that will give you a quick interpretation as well. You will need your date of birth, location, and exact time of birth (or just a rough estimate, if your not sure). This calculator will give you your moon sign, and also the "moon phase" at the time of your birth. Moon phases are considered important in astrology. You do not need the exact time of your birth for this calculator (just the day, month, year, and location of birth). Use this quick and simple Vedic Astrology calulator to get your Vedic Moon Sign, your Moon's Nakshatra, and Dasha. Very interesting calculator (you just need your day, month and year of birth) and you will get a page filled with astrological information, cultural facts and tidbits, and other miscellaneous info about your date of birth. An ephemeris is a table of values that gives the positions of astronomical objects in the sky at a given time or times.